It's dark and dubby... it's dark dub. The sound of dark dub blends hard electronica and dub reggae rhythms/production techniques into one sinister whole, and you can experience it for yourself in this week's SampleRadar. We've got the loops you need to create your own grooves - get ready to step out of the light and into the darkness. Beats, bass, keys 'n' synths and percussion folders are all on offer, with the sounds being supplied at three tempi (125, 130 and 135bpm). 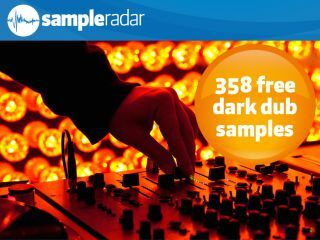 The dark dub samples are supplied in a zip file, so you'll need to extract them before you can see them. Enjoy!